Bay Area's restaurant industry officially has the strongest three-star presence on the acclaimed Michelin guide. This year we surpassed New York for having the most three-star restaurant designations, one of which is our very own local favorite: Manresa in Los Gatos. The holiday season transforms Silicon Valley into a dazzling and enchanting place. The streets are all gussied up with garland and lights, and just a stroll around town is enough to get you into the holiday spirit. Christmas lights, markets, festive crafts, and shop window displays, combine to provide a magical atmosphere you won’t want to miss! Fall is one of the best times of the year in the Bay Area. It’s warm, but not hot and even the coastal destinations are graced with sunshine. To celebrate this wonderful time of year, I’ve put together a list of 16 local destinations you can enjoy for the weekend or just a day visit. Halloween is right around the corner and all of Silicon Valley’s cities are boasting a plethora of activities for witches and ghouls of every age to take part in and enjoy! Between the pumpkin festivals, trick-or-treating opportunities and events illuminated by tons of glowing lights that keep the night from getting too dark and spooky, we have plenty of holiday inspired fun taking place. Read on for a guide to the best Halloween events and attractions across Silicon Valley. Your comprehensive guide to the Bay Area's Fourth of July fun! Leo Ryan Park, 650 Shell Blvd. 9 a.m. - 9:45 p.m.
4th of July Pancake Breakfast - 8 a.m. to 12 p.m.
Red, White and Blue Community BBQ - 12 p.m. to 3 p.m.
Shoreline Lake Boathouse, 3160 N. Shoreline Blvd. Parade 10 a.m. Fireworks 9:30 p.m.
Fisherman's Wharf, 100 Jefferson St.
9:30 a.m. - 11 p.m.
Martin Luther King Park & Pool, Monte Diablo Ave & N. Fremont St.
Kevin Moran Park, 12415 Scully Ave.
Easter Sunday is just days away, so eggs filled with goodies are going to be dropping all over Silicon Valley. A whopping ten Silicon Valley restaurants have been awarded 2018 Michelin stardom! Celebrate both the end of 2017 and the beginning of 2018 by gifting yourself and loved ones an incredible, local culinary excellence. With summer vacations in full swing, I decided to put together a list of some of my favorite staycation spots right here in Silicon Valley’s own backyard ...or just a short drive away. October 10, 2014 Daniel G.
Some people call the traffic at certain times of day in San Jose other-worldly. Of course, they’re exaggerating. But when talking about the goings on at the Winchester Mystery House, “other-worldly” might not be too far off the mark, if you believe in ghosts. The gigantic mansion is located at 525 South Winchester Blvd. in San Jose, and it’s thought by some to be haunted by a number of ghosts including the ghost of Sarah Winchester, who was the lady of the house from the beginning of construction in 1884 until her death in 1922. Predominately featuring Queen Anne Style Victorian architecture, the mansion is noted for its sheer size, odd design elements and lack of any logical building direction, seemingly as per the wishes of Sarah, who oversaw the construction. Truth is, she had no choice. Aside from Sarah, who are the ghosts that are said to haunt the home? They are the spirits of individuals who were killed by Winchester rifles, manufactured by none other than William Winchester, Sarah’s husband, who died in 1881. 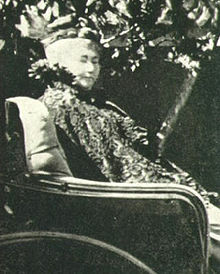 After William’s death, Sarah, visited a medium in Boston. The medium supposedly channeled William’s spirit, which told her that she should leave her New Haven, Conn., home and move west, where she should build a house for the spirits of those who had died from her husband’s firearms. The catch: Sarah must continuously build the home. Construction must never end, else the spirits would kill her. Even if she complied with the order, she was led to believe, both her family and her fortune would be forever haunted. Between a sizeable inheritance and 50 percent ownership of the Winchester Repeating Arms Company, Sarah had an income of approximately $1,000 per day – equal to $30,000 per day in today’s money. In 1884, she found an unfinished farmhouse in the Santa Clara Valley and got to work spending the money before any negative effects from haunting could come upon it or her. And legend has it that the work never stopped from the time she began until she died 38 years later. Crews worked around the clock. The small San Jose farmhouse eventually because a seven-storey mansion. There was no architect except Sarah, who clearly had little idea of how to build a house. Within the structure are stairs with unequal risers, windows that open into other rooms and doors and stairways that lead to nowhere. When Sarah died in 1922, work on the house immediately ceased, and what there was at the time is what is left. Today the Winchester Mystery House is a popular tourist attraction. It’s also an official California historical landmark and is listed on the National Register of Historic Places. It is currently owned by Winchester Investments LLC. All of these features and hundreds of others supposedly were inspired in Sarah’s mind by the ghosts of those who fell to her husband’s rifles. So did these spirits kill Sarah because she let up on construction at one point? Did they move into the house? 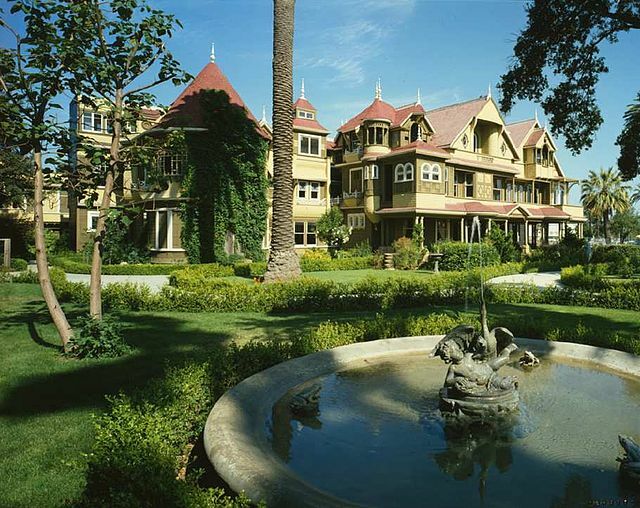 Are they there today – along with Sarah Winchester’s ghost? If you know the way to San Jose, maybe you can take a trip down there and find out. Read a lot more at the Winchester Mystery House Wikipedia page. Where are the best dining experiences in Silicon Valley? Let Michelin be your guide. August 29, 2014 Daniel G.
Residents of Silicon Valley have plenty of activities available to them all year long, which is one of the reasons people relocate here. Buying a home in Silicon Valley – or living for years here – includes access to all the Bay Area has to offer. This includes great dining opportunities at hundreds of restaurants, cafes, diners and more. And when it comes to the finest of fine dining, Silicon Valley doesn’t disappoint. 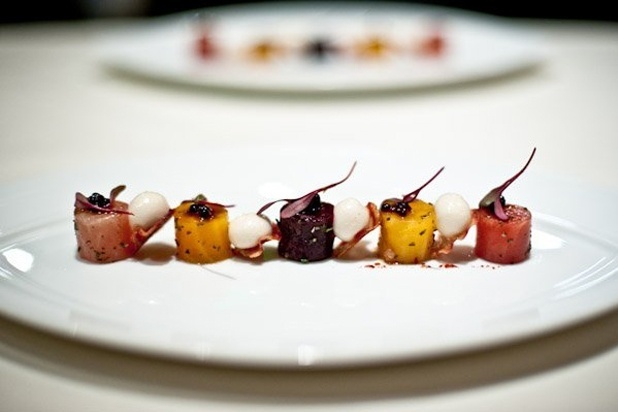 In total there are seven Michelin-Starred restaurants here, each with its own unique approach to serving meals and experiences that have been recognized as some of the best in the country. Michelin (yes, that’s the tire maker and travel guide publisher) ranks restaurants and chefs around the world, and it’s considered quite an honor to receive a Michelin Star in the company’s guide book. Restaurants in Silicon Valley include five restaurants that have earned a single star and two that have earned two stars. They are truly in the elite class, and anybody who loves outstanding food in excellent dining establishments should make sure to give each one a visit. Let’s look at these restaurants. Highlights: All produce comes from Chez TJ’s own gardens, local markets or Heirloom Organics. Fish is purchased only from Japanese markets, where handling is given special care. Meats are from animals raised only in their natural habitats. Menu items include Broken Arrow Ranch Antelope, Russian Siberian Caviar, Spanish Octopus and Braised Lamb Neck. Highlights: Situated in the Rosewood Sand Hill Hotel, Madera serves scrumptious American fare that reflects our natural flora and fauna, cooking traditions of our immigrants and the produce and livestock of our lands. Menu items include Local Halibut Crudo, Grilled Schmitz Ranch Lamb, Spiced Vegetable Panisse and Oak Grilled Beef Striploin. Highlights: A full menu of specialties from appetizers to desserts as well as a tasting menu. Menu items include Select California Estate Osetra Caviar Tsar Nicoula, Black Pepper and Parmesan Souffle, Slow Cooked Local King Salmon and Devil’s Gulch Berkshire Pork. Highlights: Since 2001, the pub has offered guests a relaxed and inviting dining experience and food selections created with the finest ingredients available. Open for brunch, lunch and dinner. Menu items include Carpaccio of Yellowtail with Tomato Confit, Almond Wood Grilled Wagyu Ribeye, Butter-Poached Lobster and Aged Muscovy Duck Breast. Highlights: The name Wakuria is made up of two Japanese words – “Wa” or harmony, and “Kuria,” which means kitchen. They feature new Japanese cuisine that still maintains the authentic roots and culture of Japan. The best seafood, meat, poultry and vegetables are used to create nine special dishes. Menu items include Deviled Egg with Tasmanian Ocean Trout, Cold Somen Noodles with Deep-Fried Shrimp Cake, Black Cod with Vegetables and Gohan Mono, a dish with lobster, grapes and avocado over sushi rice. Highlights: Traditional French dishes served in a new, distinct way. Baume blends exceptional taste, thoughtfulness, character, health-consciousness and a little playfulness to give diners an experience they won’t soon forget. Baume’s menu is not currently available on its website. Highlights: Manresa suffered a fire on July 7, 2014 and is closed until further notice. We wish them the best and hope this fine restaurant comes back better than ever. Of course, this is hardly the extent of great dining opportunities in Silicon Valley. We just wanted to highlight several that have been internationally recognized as among the best. If you’re planning a move to Silicon Valley and are searching for that perfect home, I’m happy to show you an eclectic selection of some of the finest homes you’ll find anywhere. Call (650) 947-2942. 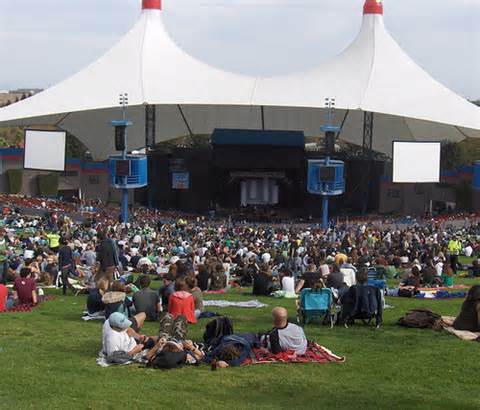 May 12, 2014 Daniel G.
The beautiful Shoreline Amphitheatre in Mountain View is a robust event venue with standard seating for 6,500 and seating on the spacious lawn for another 16,000. It was one of these lawn-sitters who discovered fire during the venue’s opening season in 1986.English rock and blues favorite Steve Winwood was on stage performing when a spectator flicked a cigarette lighter. It’s unknown whether the fan was lighting a smoke or preparing to raise a small flame in the air, as concert-goers are known to do. The result was an ignition of methane, which was leaking from the landfill under the amphitheatre grounds. Several other methane-fueled fires were reported during that first concert season. This was a much bigger concern than when a pack of rowdy Motley Crue fans sets fire to a trash can (Cruefest was here in 2008). The City of Mountain View knew it was dealing with something that could be a serious hazard to people attending events – you can see a flaming trash can and avoid it; invisible methane gas is another story. The City arranged for methane testing studies to determine exactly where the gas was leaking. Data from the tests was used to create protocols for better methane monitoring and more efficient methods to extract it from beneath the ground. To correct the problem, workers removed the lawn and installed a gas barrier and better quality equipment for the removal of methane. A new lawn was then put down. Today the amphitheatre is safe and functions as a premier venue for entertainment events of all shapes and sizes. Perhaps the most prodigious player here was The Grateful Dead, who performed 39 concerts and used shows on October 1987 and June 1990 to collect material for the live album View from the Vault, Volume Three. Part of the Shoreline Park Project, the amphitheatre was built in 1985-1986 by the City in cooperation with famous event promoter Bill Graham. 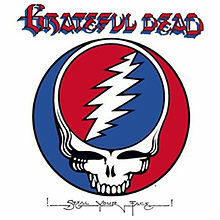 The design was created by Graham to resemble the well-known logo that appears on the Grateful Dead’s Steal Your Face album. Over the years it has played host to a long list of popular festivals including Lilith Fair, Lollapalooza, Ozzfest, Pop Disaster Tour, Rock the Bells Festival, Harmony by the Bay Festival and plenty of others. Upcoming artists slated to appear include Boston, The Doobie Brothers, The Backstreet Boys, Toby Keith, Alice Cooper, The Steve Miller Band, Journey and Motley Crue, hopefully with no fires of any kind. Check out the Shoreline Amphitheatre’s website.